The introduction of control surfaces was a huge step towards a completely digital production workflow and it made working collaboratively much easier and efficient. Traditionally, the concepts of music composition and sound design have been viewed as distinctly separate creative audio disciplines. Karen Collins points out in her article, “The Sound of Music, or the Music of Sound?” that, “What is often referred to as “non-musical sound”, or sound effects (including percussion) wasn’t used in Western music for centuries.” This fact alone could mark the beginning (at least in Western culture) of the perceived disconnection between sound design and music. Collins later adds, “…the use of sound effects was seen as a distinct discipline from music until the arrival of the 20th century avant-garde”. Though still today, it is rare for a composer to view themselves as also a sound designer and even more rare for a sound designer to consider themselves a composer. This is only furthered by the fact that on most larger (and even many smaller) budget multimedia productions (video games, films, television, etc. ), the positions of the sound designer and that of composer are usually filled by different specialists that handle specific areas of the overall audio soundscape (1) for the production (the sound designer designs the large sound effects, while the composer scores the music for the production). And unfortunately, many times, they do not work collaboratively or have much (or any) communication throughout the creative process. The question is why? And also, why does it matter? For one, audio professionals that specialize in either music production or sound design do not always share a common language, while a sound designer may think of a sound being at 440Hz, a composer (or music producer) may never look at the sound in this manner, they would more traditionally think and speak of 440Hz as the note of A, above middle C (as a simple example). Randy Thom points out in his interview, “Collaborating with the Music Team,” “Even composers and sound designers often don’t have a good enough vocabulary for each other’s work to communicate very well.” Though he then goes on to provide effective ways to work around this type of language barrier and to just not be intimidated, I believe we all can and should go one step further. In an effort to produce the most cohesive and emotionally powerful work, audio professionals should look to build an even greater fluency in the complete language of creative sound production and have the ability to discuss and think about audio concepts musically, emotionally, as well as technically. In the purely analog days (the pre-digital age) of audio production, specialization was almost always required because the technical and creative skillset (and toolset) for producing music and/or designing sound effects was, for the most part, much more time-consuming, and the learning curve was considerably steeper. 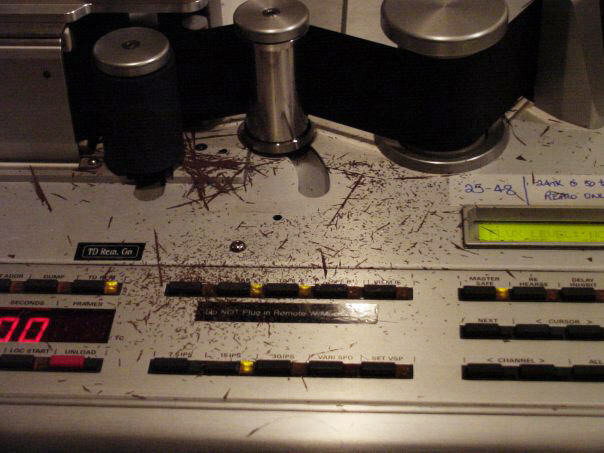 Cutting tape is an art form all to itself, and an expensive one at that. Experimentation was extremely costly during the purely analog days, which made it harder to venture beyond your specialization (and left your workspace covered in oxide). What is the goal of a composer and what is the goal of a sound designer? When talking about sound, there are really only two categories: organized sound and unorganized sound (or noise). Both sound designers and composers work in organizing, or controlling sound for the purpose of affecting the audience in an emotional manner. A well-designed sound, like a well-written song will accomplish the goal of evoking a mood or an emotion from the listener. Scott Gershin put it well when he called himself an “audio storyteller” at a recent panel discussion. He would fall under the more traditional definition of a sound designer with credits on large-scale films (American Beauty, Gladiator, Green Lantern) and videos games (Fable III, Uncharted: Golden Abyss, Resident Evil 6). Though his official position/title/credit on these and other projects is not always as a “sound designer”, holding credits that also include supervising sound editor and sound re-recording mixer. Still, I would wager that at least some of his sound design work appears on every one of these projects, regardless of his official credit. Under the traditional definition, a re-recording mixer would not have any direct input on the sound design process, though I have on many projects that one person (usually taking only a “Re-recording Mixer” credit) will handle multiple roles and oversee the rest of sound team as well. With the efficiency of the current audio production workflow, there is no reason to stay limited to only one role on any given project, and today more than ever, it is feasible for one person to handle all post-production audio responsibilities on a project. At the same Moogfest panel discussion that Scott Gershin described himself as an “audio storyteller”, he went on to add that for him, sound design is “really about how do I take sounds and how do I create an emotion with them” and then he went on to say that his sound design “philosophy” is to “figure out what you want to create from an emotional standpoint and then follow that thread”. I believe that this “philosophy” and overall approach applies just as well to composing a song as it would to designing a sound. The introduction of the DAW into the audio production workflow significantly changed the speed and efficiency of editing and allowed for more experimentation. Both composers and sound designers start with an initial sound (or sequence of sounds/melody). This could come from a recording of an analog or synthesized sound source. Then they both begin to shape the overall sound by adding other sonic elements as layers, as well as process and manipulate the sound(s) to reach their intended finished product. As an example, while a composer may look to use a synthesizer to write a melodic line, and then add in a rhythm guitar and percussion to add depth, complexity, and rhythmic structure (and so on). A good composer or music producer will always be looking to add only sonic elements that will enhance the overall tone, or emotional impact of the musical piece (and remove anything that is contradictory to that goal). A good sound designer may start out with a synthesized sound or generated tone to give a foundation to their sound and then add in recordings of raw/organic sounds as additional layers to give more realism to the sound. Then they will shape the sound even further through processing and mixing the sounds to create a complex and emotionally powerful finalized sound effect. Just like a music producer, a sound designer will look to remove any sound qualities that may detract from the overall sonic outcome and accentuate what is emotionally impactful to the listener. Is there a correlation? Absolutely. In the end, both the composer and the sound designer are looking to derive an emotional response from the listener through organizing, shaping, and controlling the final sonic result; the process is much more congruent than is immediately obvious. 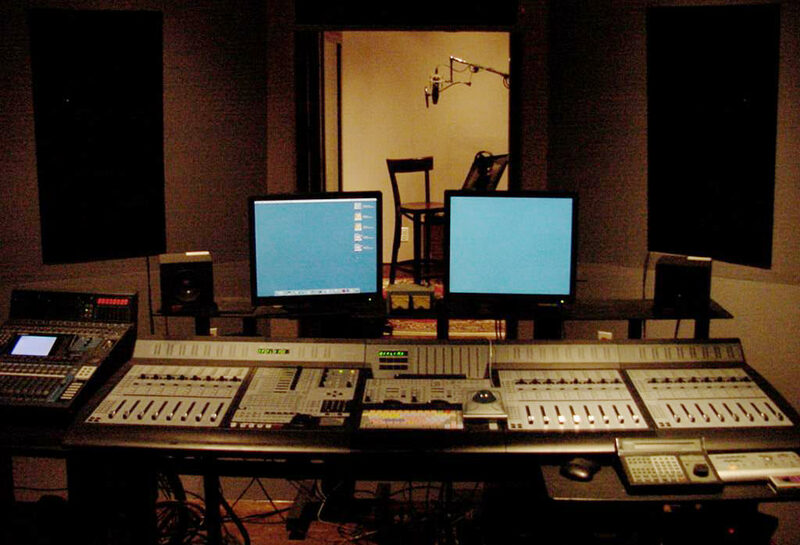 Today, and moving forward, the sound designer and composer (if they are different people/teams) should work closely together, along with the rest of the audio team, as their end goal of sonically impacting the mood or emotion of their audience depends on the effectiveness of the sum of all the audio parts, the complete soundscape. If the music, sound effects, and dialogue/vocals do not work together with the distinct intent and knowledge of where the project (or even the scene) wants to take the listener emotionally, then the whole project suffers. Everyone on the sound team wants to create a captivating, moving, and memorable emotional experience through sound and to do this, we all need to be on the same page and able to communicate and easily collaborate with each other. I foresee the most successful creative audio professionals (meaning the people that create the most emotionally compelling work) being individuals that can take on the role of the composer, sound editor, sound designer, re-recording mixer, etc., and have a full understanding of the whole audio process and overall emotional impact of the sonic environment, or soundscape that they are designing. Does this mean that in the future a sound “team” will always be just one person? No, I believe it can always be a collaborative effort, but every member of the team must have a solid understanding of how their sounds fit into and work with the overall soundscape to reach the desired emotional result. 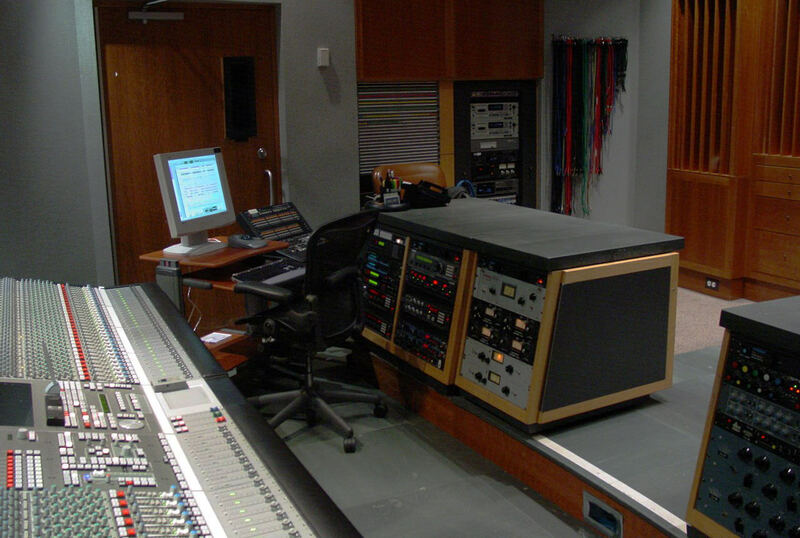 Today, the same capabilities, and a lot of production “studios” look more like this. The traditional definitions of “composer”, “sound Designer”, “sound editor”, etc. do not need to be (and are no longer) as rigid as they once were, and the distinctions will blur even more with the continued progression of the audio arts. As media production has evolved (and continues to evolve) over time, the definition of what a composer is has expanded and includes less traditional examples of composers (or music producers), and what a musical composition can be (if you have not done so, watch and listen to some of Diego Stocco’s work, one of my favorite pieces of his is Music From A Dry Cleaner). Karen Collins (in the previously referenced article) brought up another great example where the definition of “music” is expanded to include what may have once been seen as solely a sound design element with her mention of Skip Lievsay and Craig Berkey and how they used the sounds of wind as the musical score for parts of No Country for Old Men. Would this fit the more traditional definition of a musical composition? Maybe, probably not, though the better question is, does it even matter anymore? Our current digital workflow allows us to take on more creative audio responsibilities and have a deeper connection to the overall soundscape, which will absolutely result in a more cohesive and more impactful emotional response from the finished product. This should be our primary concern, and truly our only concern. Once we dilute the distinctions between sound design and music, sound designers and composers, and we start seeing each other as creative audio professionals that can fully collaborate in order to create the best sonic results for our audiences, we will find that the power of organized sound is even greater than we previously thought possible. When writing music, composers (either working on the score for a multimedia project or working on an individual record) should experiment with non-traditional instruments and sounds, and see if they can enhance the impact of their musical compositions by thinking and practicing audio manipulation like a “traditional” sound designer (layering of raw/organic sound and/or synthesized sounds together and then shaping the sounds through processing). This opens up many creative possibilities in composition. As well, sound designers should think musically and about the emotional impact derived from their sonic creations every time they design a sound; this way of thinking will only improve the final product. I believe we will always have our specializations (and should), but continuing to stick with the idea that there is a distinct separation between what is and can be considered music and what is and can be considered sound design or what a composer does and what a sound designer does can do nothing to propel the art form forward and can only be detrimental to the overall creative process. Forget about the titles and distinctions that we formed during the analog days, they no longer apply the same way that they once did; we are now just sound organizers, all of us. In the end, what we come back to is that organized sound is organized sound, and both sound designers and composers work to produce organized sound with the intent of affecting their audience emotionally. Audio “teams” with designated roles may always exist in audio production, but many models of what an audio “team” is (and how many people that entails) will continue to emerge and now with the speed, affordability and convenience of modern audio production technology, along with a growing understanding of the complete language of sound, our definitions and roles will continue to become wider, and more diluted. The future is bright if we are able to adapt and grow along with technology. In order to adapt, every creative audio professional or “sound organizer” should realize we share a common goal, a common passion, and we all should want to be and have the ability to be a part of each other’s creative audio world, working together to produce the most emotionally impactful sonic experience for our audiences. 1. Side note regarding “audio soundscape” definition: for the purposes of this article, the terms “audio soundscape” or “soundscape” refers to the complete final audio mix, which includes dialogue or vocals, sound effects, and/or music within a project. 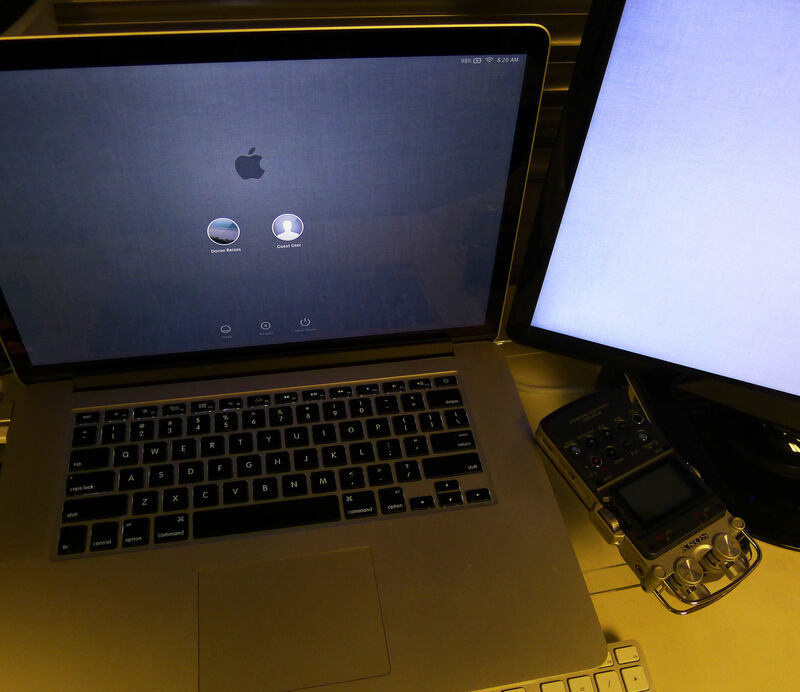 Doron Reizes is a creative media arts professional and educator. He currently spends his time teaching, designing, directing, learning, and consulting in and about the evolving media landscape with a specialized focus on sound design, music, and interactive design. Great article, Doron, and I can’t applaud enough the notion that the practitioners of these disciplines would benefit from greater communication if not outright collaboration. About a decade ago I scored a short film with many elements of sound design as part of my score. It was an absurdist story about a hitman who worked for an office of assassins that was forced without explanation to begin doing menial office work. I used sounds derived from spinning disk drives, scissors, staplers, printing presses and more to make my score. Little did I know it, but without telling me, the director had also engaged a sound designer to work on the film too. Because I had no knowledge of the other guy’s activities until post-production, there was no way to avoid the unfortunate reality: we both naturally chose to work towards hitting some of the same key moments in the film. The absolute absence of collaboration had, in my opinion, disastrous results: we sonically stepped all over each other’s work. Sigh. Bravo, Doron. May the conversation continue! Love the insight. Well written. I take it in the end it takes a highly experienced talent or a talent who can work with the highly experienced. Well Teach, it has been a couple of months that I was in your class and you are still teaching me new things. This article has definitely answered questions that I have had but wasn’t quit sure how to ask them. Good article. Thanks for the comments guys, and Hippy, glad you are well (good to hear from you). Mike, in the end, I believe it comes down to the knowledge and creativity of the sound “organizer” or artist and our abilities to be multi-faceted is only going to further our knowledge and creativity when designing sound. Charlie, I definitely know the feeling, I’ve been on the other end as well, where I was the sound designer (and editor, and re-recording mixer), but I was not the composer. Sometimes, the music shows up and it just clashes with the sound design and dialogue and creates dissonance and just doesn’t work. Now you are in the studio with the producer(s), director (possibly, and possibly others) and the audio is just nowhere near as powerful or cohesive (the music, dialogue, and sound design mixed together). It makes the re-recording job harder to pull off well, and sadly, it will impact the outcome of the project, regardless of all the massaging, tuning, remixing of the music that you attempt to do quickly while trying to mix the project and have a good (yet timely) finished product. Collaboration, knowledge, and creativity are really the keys in my mind. This is a very informative article. I had no idea that a Composer and Sound Design Engineer were separate. I have always thought that the composer created it all. I have learned something new today. I imagine that finding a Composer and a Sound Design Engineer that can collaborate well together is like finding a diamond in the ruff. I would love to find that diamond! I have been a musician for many years and I have used sound design in the past and present. As a child, I would hear the car windshield wipers and start tapping out a rhythm. I would do this with several different sounds I would hear and still do to this day. I just started working on a song last week (during Summer break) using rhythmic sound effects in the Intro to evoke a sense of fear. I want to be a part of strengthening the art form. Thank you for writing this wonderful article. Thank you for this fascinating article! It seems inevitable that the creative possibilities within sound design (timbre, spectra, immersive/spatial qualities) and polychromatic music (micro pitch-color) will converge creating even wider expanses of sound art exploration. It is fascinating to ponder the implications of creating a new, integrated musical/sonic language to simplify (and make more intuitive) the crossroads of each unique artistic focus and approach to aesthetic sound. Historically, the elements of musical emphasis have been melodic, harmonic (polyphonic), rhythmic and timbral (orchestration). With recent technological advances, we can expand upon these traditional areas and add new expansive elements of micro pitch-color, harmonic (overtone spectra), sound color (spectral in the largest sense) and multidimensional, spatial/immersive auditory qualities into sound art. Exciting times for the sound arts!